Beautifully kept private and secure canal front (220' of waterfront) home. 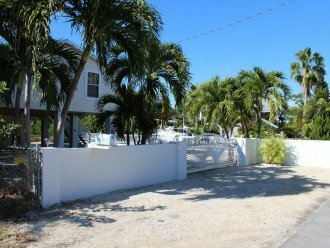 Located at the end of a dead end street in a residential neighborhood alLows for privacy and extra relaxation. 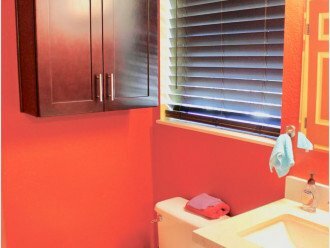 Fully updated kitchen, fully equipped with coffee maker, espresso maker, blender, bullet blender, etc. Ideally suited for boaters and non-boaters alike. Master bedroom has queen bed plus bathroom with shower, second bedroom has twin bunk beds and a full size bed, and 3rd bedroom has a twin day bed with trundle underneath. Baby playpen and high chair available, central A/C or heater, and great sunset views from balcony. 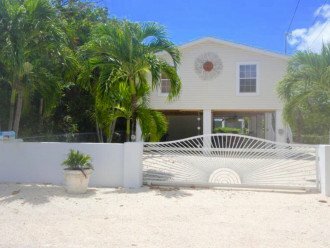 Furnished downstairs area with hammock adds to use and enjoyment of property without ever having to leave. 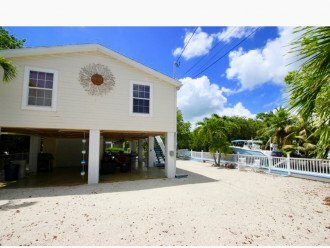 Home is only 5 min idle boat ride from open water with easy access to Gulf or Atlantic. Big Pine key shopping area is only two miles away and has a Winn-Dixie, CVS and Walgreens, as well as bakery, pizza place, liquor store and Radio Shack. Also the wildlife key deer refuge center. 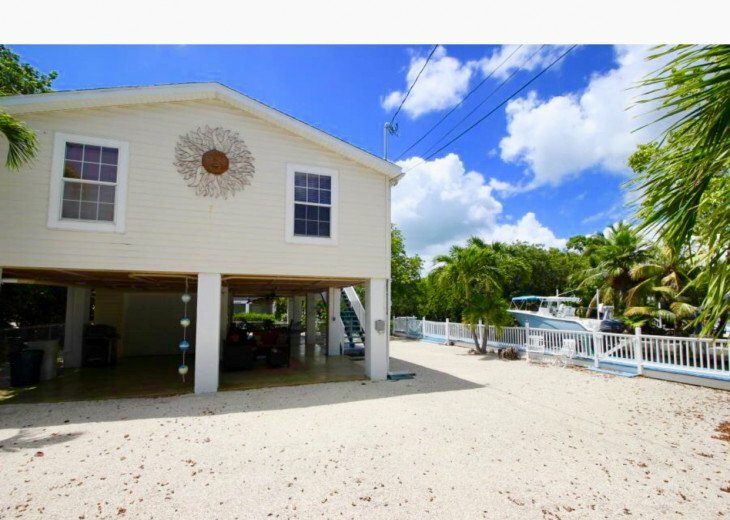 Only 30 min from key west allow for great day or evening entertainment. Boat rentals and kayak rentals nearby. Property is fenced in for safety of children or pets. 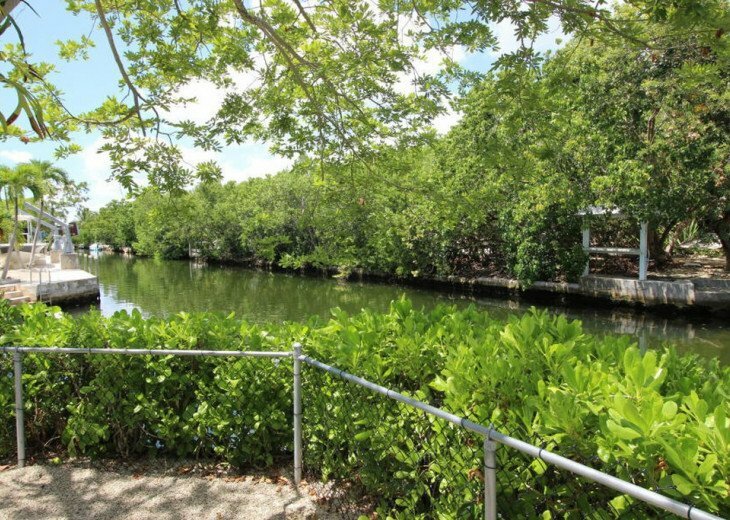 Boat ramp is 1.5 blocks away , and is clean and user friendly. You may bring your own boat, there’s space for a trailer in the property or rent one from a local business. Charters for fishing or sightseeing available everyday from several locations. 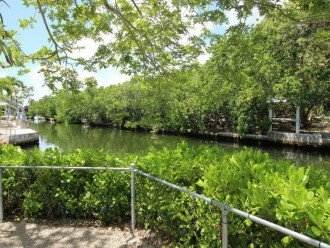 Attractions like the Blue Hole, the only fresh water lake in the Florida keys, an abandoned quarry dug in the 30’s, located in Big pine key, contains mostly fresh water and is the home to turtles, birds, an alligator and key deer. Big Pine also has The National Key deer refuge and information center, library and art galleries . Supermarket and 2 major pharmacy and convenience stores. A 10 minute car ride also takes visitors to Bahia Honda, with 2.5 miles of white sand beach, hiking trails, bicycling and in-line skating, and a part of The Great Florida Birding Trail. A 20 min drive to Marathon adds more activities for kids as well as grown ups, with beaches , parks, skateboard park and the Dolphin research center. Boat rentals and kayak tours available close by. 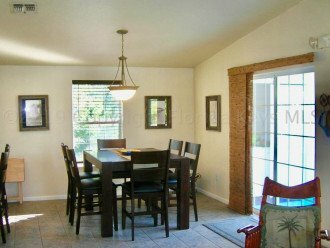 3 Bedroom 2 Bath house with large downstairs covered patio. 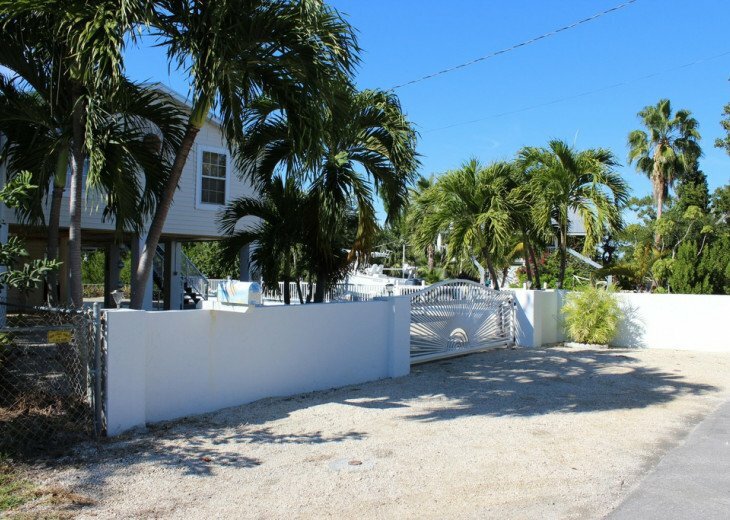 The property is gated and fenced along the waterfront allowing for added safety for young children and pets. The kitchen and baths were up dated as of Jan 2019. The Square Grouper, Boondocks, Pizza Works, Milagros, Bucktooth Rooster, Kiki’s sandbar and always Dions Fried Chicken at several gas stations/convenience stores. In Key West: Amigos, Blue Heaven, El Meson de Pepe, Camilles , Two Friends Backyard, La Trattoria, Virgilio’s, Rooftop Cafe. Saturday to Saturday ir Sunday to Sunday unless otherwise specified in contract. Rates based on 28 day month, additional days beyond 28 are charged accordingly, discuss with owner as exceptions may apply. Ex: the month of January is NOT the month rental, the rental month is considered January 1-28, the 29, 30, and 31, are additional dates. But also, you may start your month earlier, ex: if April 1 is a Monday, you can maybe get a Saturday or Sunday check in of March 30 or 31. I know! I know,! it’s kinda weird, but it works, and that’s how many large vacation rental properties do it. 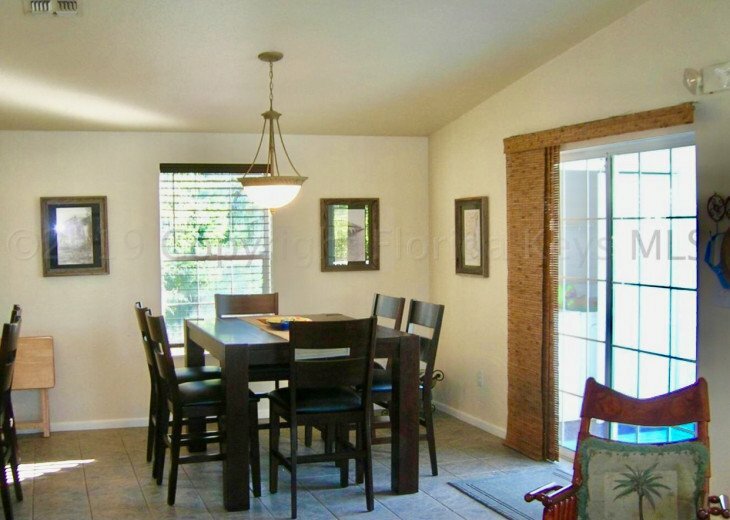 Reach out to the owner and discuss your preferences, we are motivated to rent so call us! Yes, one of the best public boat ramps is only two blocks away. Yes, The dock is fitted with a lower extension to facilitate water access to kayakers. Yes, there is a walled gate along the street side and a fence along the water front.